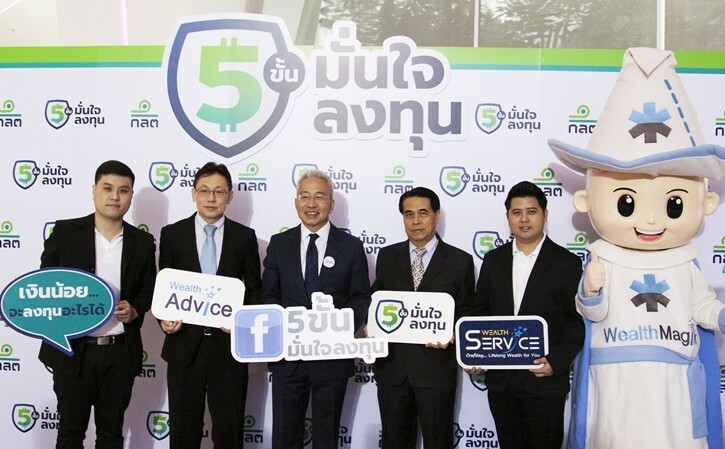 On the 12th of September 2018, the “5 Steps toward Investment with Confidence” project by the Securities and Exchange Commission (SEC) Thailand in cooperation with the private sector partners and capital market operators has been launched. The project aims to create a completely new experience of investing. The 5-Step investment design service will be an important aid to the public to take full care of their investment and to meet long-term financial stability. Dr. Somkiat Chinthammit, CEO of Wealth Management System Limited and WealthMagik Brokerage, received the recognition plaque from Mr. Rapee Sucharitakul, Secretary-General of the SEC Thailand, as one of the organization approved by the SEC to deliver wealth advisory service. The recognition strengthens its leadership in investment advice and management. 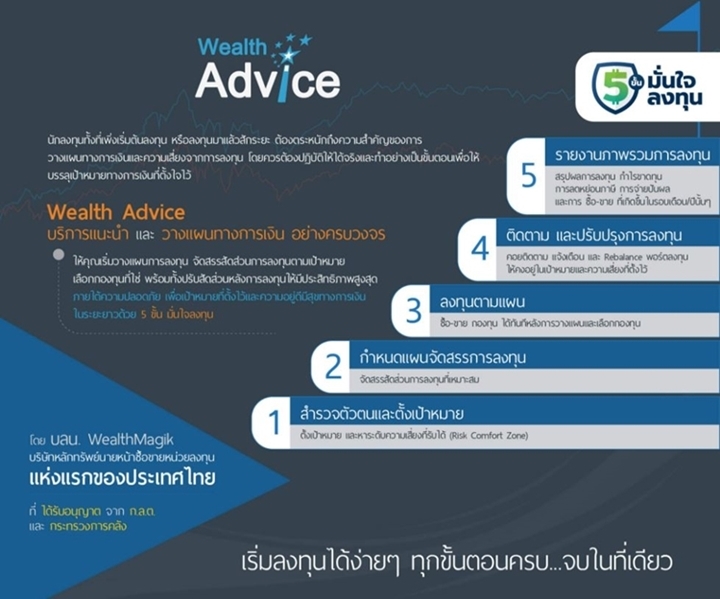 During the event, the Wealth Advice service by WealthMagik has been announced. The service is a one stop financial consulting service where it can help create your financial plan, manage asset allocation by your target, pick the mutual fund based on your preference, keep track and rebalance portfolio after investment for ideal performance, and generate consolidated statement. All of these in line with the SEC’s “5 Steps toward Investment with Confidence” guidelines.